Below is an outline of opportunities we have currently in hand. 5) currently offering matching stock in a reporting company. Now is a good time to be exploring for applicable tax efficient opportunities and deductions. Currently we are Advising clients to put some dollars in an oil and natural gas program. Our lower risk preference programs drill lateral legs while reworking existing wells can, as investments, offer robust returns as well as write-offs. The Bi-partisan support of domestic oil and gas drilling and production projects is driven by the fact that every barrel produced at home is one less to import. The primary method that the government uses to induce more domestic oil and gas development projects is by providing unusual tax benefits for groups or individuals who want to participate in oil and gas ventures. The following are intended as general descriptions of current tax laws. Your circumstances may vary so you should check with your tax professional when considering an investment. What is being indicated is that for a doctor or executive in the top 39.6% federal tax bracket, earning over $250,000 a year that means with AMT (Alternative Minimum Tax) some $80-100,000 in tax payments by W2 or tax return would otherwise be paid or payable in alternative minimum tax are due (State tax deduction might increase your total savings). Generically AMT (Alternative Minimum Tax) means just that a minimum payable in tax what ever you do. With �Standing Timber� or an active US domestic re-work or drilling program you can get back the AMT, and so have considerable more after your tax refund is in hand to invest back in to the market. This is different from a tax credit but it is an AGI write-off or reduction that then recovers taxes that under any other situation except standing timber would be payable as AMT. In addition to the benefits of reducing the AGI there is a SIGNIFICANT benefit provided by the tax code which is the upfront tax deduction. "In oil and gas, a large portion of your investments may be deducted in the first year," compared to other types of business where more of the costs must be written off over long time periods. The amount you can deduct would vary according to details of the transaction. Suppose you invest $200,000 in a re-work or re-drilling deal this year. You likely get to deduct $160,000+ from your 2008 AGI income, potentially with no AMT preference. The key here is that this program releases the tax payments that no other investment (other than watching trees grow and burn down before you cut them) can get to. In a top 39.6% federal tax bracket, that deduction would repay you more than $64,000 in tax payments that would otherwise be paid in Alternative Minimum Tax. State tax deduction might increase your total savings. If structured correctly, the program can also recover up to two years of prior income taxes paid. Completion Costs: Up to $17,000 of total completion costs, per investor, can be written off as a one time charge in any given year with the remaining balance depreciated for a period of five to seven years reducing income tax expense paid to tax authorities. Approximately 15% to 25% of the amount of your investment is allocated to �equipment� as �Tangible Drilling and Completion Costs� (TDC�s), and may be deducted from your income. Depletion Allowance: All revenues from oil exploration and development projects are subject to a depletion allowance from the US government. 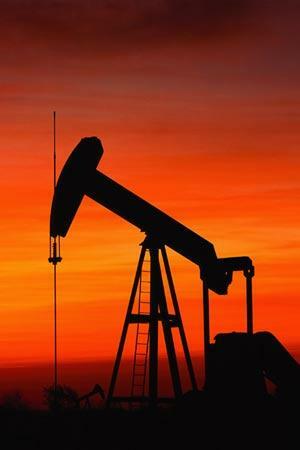 Investors will pay income taxes on only 80 � 85% of total oil and gas income they receive. American Jobs Creation Act of 2004 (�AJCA�) made numerous changes to federal income tax laws. Effective for production in taxable years beginning after December 31, 2004, AJCA provides a deduction from taxable income (or, in the case of an individual, adjusted gross income) that is equal to a portion of the taxpayer�s qualified production activities income up to 9% of the taxable income for the taxable year. The Standard Industry terms based on well bore assignments offer participants with substantial active or portfolio taxable income (subject to AMT) a beneficial write-off. The investments in at risk oil and gas drilling working interests can, if Code regulations are complied with, generate �Losses� which will not constitute passive losses, and thus can be used to offset active and portfolio income. PLEASE CONSULT YOUR FINANCIAL ADVISOR AND PLANNER Increasing your net worth is easier with the help of a CERTIFIED FINANCIAL PLANNER that can guide you on the path to the future of your dreams. If your dream is more income now, (maybe you want to have a larger nest egg or a second shot at your own business in retirement, or to give your children or spouse better opportunities in the future) look in to oil and gas. Or maybe, you have more immediate concerns like rolling over your 401K into an investment vehicle that will optimize your net worth when you need it. Our advisory role is to link in the provision of Green tax credits to assist in the development and funding of these projects. These enterprises are actively seeking financing and partners to develop sites to construct wind generation plants in Oklahoma & Texas. Oklahoma stands at the ready for the third major land rush of the state's history, as the wind industry booms on the horizon. In one sense this land rush is very similar to the first in that many wind farm developers, like the original sooners, have jumped the gun and leased thousands of acres in western Oklahoma in preparation for the launch of an entire new industry that promises competitive energy for co-ops, utilities, and ultimately consumers. Wind is a sustainable cash crop that will assist rural economic development and accomplish all this with a tangible improvement to the environment. All of the above is happening despite an exceptional legislative environment that would aggressively pursue the role of �early adopter� by signing power purchase agreements. There is a decision of historical significance that has been a fast �horse race� of and Oklahoma wishes to continue to be a dominant exporter of affordable energy by allowing wind to rapidly become a complementary energy partner to natural gas or does it either do nothing or adopt �me too� incentives which have already been adopted by other states. The early evaluation of sites and windfarm locations by Green County Power was made with the then existing Transmission lines in 2001. There have been many requests for lines since then but as yet little transmission built. The Blue Canyon Project work identified several prospect wind farm locations that use existing transmission and have the best classed wind locations. 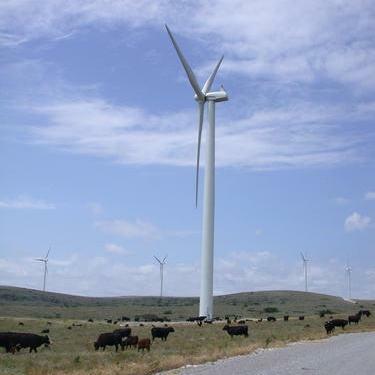 Wind Site selection needs to be planned over time and include on site tower wind records. Also required to betaken in to account are: climatology (temperature average per hour), proximity to transmission lines, topography, grid, airports locally, other known existing/planned projects and their proximity, Road access, Railroads, Environmental issues and wildlife aviary concerns, and other relevant restrictions. All of the factors as set out above have been reviewed and compiled in to finding sites. A data bank of 100+ sites have been reviewed to provide sites. Various geographic variables were evaluated and placed in merit order for consideration to provide a list of potential development locations. Some of the variables, (e.g., topography, Airports locally electrical grid, road and railroad locations) which were used to produce the estimates are self-explanatory. One important consideration in any type of recommendation would be the location of known existing or planned projects and their proximity. Question 1: For every 10K invested will we have an immediate $8,500.00 tax write-off--isn't it more accurate to say that for every 10K invested, you will be able to offset $8,500.00 of AGI ordinary income? the experience is actual and we have done this many times before. As client advisors what we have been advising for the last few years is to diversify in to US Domestic Oil and Gas. We have seen clients benefit in actual refunds. Yes it is the case that when the oil price went up our clients were really really happy. Although oil is down, gas not so much, they are still happy because of the near 85% write off as an "active� income write off against AGI for recovery of paid or payable income taxes which is not AMT preferenced. That is CPA talk for �most of the investment is repaid by tax recovery�. QUESTION 2: What IRS tax code determines if your investment in the drilling programs is tax deductible? ANSWER: There are many different IRS tax code sections that apply. The key Section 469(c)(3) relates to the "working interest." When your investment buys into oil and gas properties where the taxpayer owns the interest directly or through and entity that does not limit his liability such as a partnership with respect to the activity the income and costs are treated as Active Activities, without the need for 500 hours of Active work. Because they are NOT treated as "passive activities" significant taxation benefits follow. A very simple test applies where the property generating costs or �losses� must constitute a "working interest" as defined by the passive loss rules, and the interest must not be held through an entity that limits the liability of the taxpayer with regard to the activity during the time of such activity. ANSWER: The main deduction is related to the key Section 469(c) (3) that relates to the "working interest.� The majority of work, certainly in reworking wells, is IDC and this is up to 85% or more of the total cost of the reworks. The more reworking in wells, the more the IDC as a percentage of the total cost of the reworks. QUESTION 4: Is all of the 85% of the principle of the investment deductible for everyone or does the % deduction decrease as one's adjusted gross income increases? ANSWER: Yes, the "working interest� in a qualifying investment is all deductible, and better yet the deduction can potentially be carried back two years and recover past taxes paid under AMT rules. QUESTION 5: Is the deduction a �dollar-for-dollar� 85% deduction? Or is it a deduction that works more like your home's mortgage interest, whereby you can deduct only a % of the interest based upon your tax bracket? ANSWER: In short no and no. No - The deduction is not like a tax credit which is $1 for $1 but may be clawed back against future events or non compliance of the program. The deduction is based on the taxes paid as an Active program so it is �dollar-for-dollar� against AGI and providing the "working interest� in a qualifying investment is all deductible. Better yet the deduction can potentially be carried back two years and recover past taxes paid under AMT rules. If not all used up it can be carried forward. No - The deduction does not work exactly like your home's mortgage interest, �whereby you can deduct only a % of the interest based upon your tax bracket?� as the qualifying investment is all deductible against available AGI as active income/costs. The first-year deductions from a drilling income reduces the whole AGI so reducing the effects of �tax brackets�. QUESTION 6: Is the benefit of the set-up to accept IRA funds really a benefit? Would this offset the benefits of it being tax deductible (above), true? ANSWER: It is a benefit in different ways. Firstly - you can eventually withdraw all of the money in a Roth IRA tax-free after the latter of five years of age 59 �. You are eligible to convert only in a year when your adjusted gross income is $100,000 or less�.there in lies the problem which the oil and gas investments provides a solution to �.. "The first-year deductions from a drilling income reduces the AGI below $100,000 for the year, where the underlying economics are critical.� In essence, providing you and your financial advisor pay attention to the investments potential as well as the tax advantages, the end result should be very positive. Secondly, it is the timing of when to use IRA funds. QUESTION 7: Can individuals reduce their income from other sources with deductions generated by Joint Ventures that own oil and gas working interests? ANSWER: In most cases YES, because the deductions generated by Joint Ventures oil and gas working interests are not treated as "passive losses" the law contains an exception. Section 469(c)(3) under which, among other things, deductions generated by oil and gas working interest (as opposed to royalty interest) owned through general partnerships are not considered "passive losses," so partners and the joint venture subsequently generated by such ventures will not be treated as "passive income." This is different from other investments under the Tax Reform Act of 1986. In most cases, deductions generated after 1986 from investments in which an individual does not materially participate are treated as "passive losses" and can be deducted only against "passive income". Deductions classified as "passive losses" cannot offset income such as wages, interest, or income from many businesses in which the individual materially participates. QUESTION 8: What are some of the tax deductions from oil and gas drilling programs? ANSWER: Oil and gas re-working and drilling programs are specifically designed to generate various tax deductions from drilling, completing, and producing oil and gas wells. These deductions include intangible drilling cost (IDC), depreciation, and operating costs. In addition, when production is achieved, our ventures claim a depletion deduction against their share of the venture's income from oil and gas produced. QUESTION 9: What is a reasonable amount to apportion to oil and gas drilling programs? ANSWER: Our strategy involves allocating enough actual net revenue to investors to see actual returns of investment on a smaller amount of production. We achieve this by minimizing our overhead and balancing overrides and working-interests thereby, maximizing net revenue. The most successful projects we have seen follow such a model; as opposed to an investment that will only be successful if the well does hit its �big production potential�. Every good project should have the possibility of a �home run�, but as in baseball, you don�t hit home runs every time you are at bat. The potential success of the investment cannot be based solely on home runs: single and doubles should be as rewarding to the investor. And, with current tax structures they more than are. QUESTION 10: What type of information do you receive to show you how to claim your tax deductions from investing in our drilling programs? ANSWER: Within a short time after the close of each accounting year, the Joint Venture �Managing Partner� sends to each venturer a report (in the form of Schedule K-1 to IRS Form 1065) indicating that person's distributive share of all tax items. The income and deductions reflected on your K-1 is then used in preparing your federal tax return. QUESTION 11: What other deductions are generated by oil and gas drilling ventures? ANSWER: Our ventures drill and at times operate oil and/or gas wells. We are defined as being engaged in a "trade or business" and therefore claim as a deduction, for federal tax purposes, all ordinary and necessary expenses paid in carrying on our "trade or business," such as costs of operating well, general and administrative costs of the venture, and certain fees paid to the managing venturer. QUESTION 12 : What are Intangible Drilling Costs (IDC�s)? ANSWER: These IDC costs include expenditures for wages, fuel, repairs, hauling, supplies, and other items that have no salvage value and are necessary for the drilling of wells (i.e. hiring the drilling contractor) and the preparation of wells for the production of oil and gas. Intangible costs generally represent a majority of the total cost of drilling, testing, and completing an oil and/or gas well. QUESTION 13: How do Intangible Drilling Costs (IDC) produce tax benefits for our joint venture? ANSWER: The joint venture drilling a well may elect to deduct intangible drilling costs, so its investors can get an immediate benefit from the expenditure. When the well drilled proves to be commercially productive, an election to deduct IDC's will generally result in a tax benefit to venturers (in the form of tax deductions) in the year the well is drilled. However, if the oil and gas property or an interest in the venture is later sold at a gain, all or a portion of that gain may be classified as ordinary income because of the recapture of these deductions. QUESTION 14: Can I deduct depreciation on tangible items purchased to equip an oil or gas well? QUESTION 15: What is "depletion" and how does it reduce or defer an investor's taxes? ANSWER: Depletion allows the owner of producing oil and/or gas wells to recover his capitalized cost through a tax deduction over the period in which the oil and/or gas is produced. Consequently, a venture generally cannot deduct in the first year the entire purchase price of an oil or gas leasehold interest or other oil or gas property interest. However, when a producing well is drilled, the venture can recover the cost of the oil and gas property through depletion deductions. An investor's depletion deduction is computed individually by the joint venture. A venture makes this computation based on the portion of the properties adjusted tax basis that the venture allocates to the venture. If the property is later sold at a profit or a venturer sells his venture interest, all or a portion of the profit may be classified as ordinary income because of the recapture of deductions. If the venture drills a dry hold and the lease is worthless, the total capitalizations of the oil or gas venture can be deducted in the year it is determined to be worthless. QUESTION 16: What is the difference between cost depletion and percentage depletion? ANSWER: If your drilling investments find oil or gas, you may get revenue starting in late 2008 or 2009. Then your taxable income will be reduced by depletion allowance. That's a second tax break to encourage energy exploration. It assumes the well in which you've invested loses value as the energy resource is pumped out. You can treat part of your revenue as a nontaxable refund of your original investments rather than as taxable income. Imagine you're paid $4,000 in 2008 for your 2008 investments. Because of the depletion allowance, you might have to report only $3,000 as taxable income. The exact amount will vary each year, depending on factors such as the amount of oil and gas produced and income reinvested. This shelter can go on as long as the oil and gas keeps flowing. Each O&G Investor must separately compute his own depletion allowance with respect to his allocable share of O&G Venture Partnership or LLC property and reduce the adjusted basis of his or her interest (but not below zero) by the amount of such depletion deduction to the extent such deduction does not exceed the basis allocated to that O&G Investor of the O&G Venture Partnership or LLC oil and gas property with respect to which the deduction is claimed. Cost depletion allows a recovery each year of a portion of the capitalized cost, including the cost of the oil and gas lease, of a producing well over its life. The portion of those costs that can be recovered each year is based on the percentage of the estimated recoverable oil and gas reserve sold during each year. Percentage depletion is generally available only with respect to a limited amount of domestic crude oil or domestic natural gas production of each taxpayer, under the so-called �independent producer exemption.� On the other hand, percentage depletion is computed on the basis of the income from the property rather than the cost of the property. Percentage depletion often results in a larger deduction than the cost depletion because it may be taken over the entire productive life of the property, even though the total deduction claimed exceeds the capitalized cost of the property. Percentage depletion, however, is generally only available to independent producers who received an interest in the property before the property was considered to be "proven property" for federal income tax purpose. Certain other restrictions also apply. The deduction provided is allowed for purposes of computing alternative minimum taxable income (including adjusted current earnings). The deduction in computing alternative minimum taxable income is determined by reference to the lesser of the qualified production activities income (as determined for the regular tax) or the alternative minimum taxable income (in the case of an individual, adjusted gross income as determined for the regular tax) without regard to this deduction. Effective for years beginning after December 31, 2004, AJCA provides a deduction from taxable income (or, in the case of an individual, adjusted gross income) that is equal to a portion of the taxpayer�s qualified production activities income. For taxable years beginning after 2009, the deduction is equal to 9% of the lesser of (1) the qualified production activities income of the taxpayer for the taxable year, or (2) taxable income (determined without regard to this provision) for the taxable year. For taxable years beginning in 2005 and 2006, the deduction is 3% of income and, for taxable years beginning in 2007, 2008, and 2009, the deduction is 6% of income. However, the deduction for a taxable year is limited to 50% of the wages paid by the taxpayer during the calendar year that ends in such taxable year. In the case of corporate taxpayers that are members of certain affiliated groups, the deduction is determined by treating all members of such groups as a single taxpayer and the deduction is allocated among such members in proportion to each member�s respective amount (if any) of qualified production activities income.